omid (mashhad, Iran) on 1 October 2018 in Landscape & Rural and Portfolio. 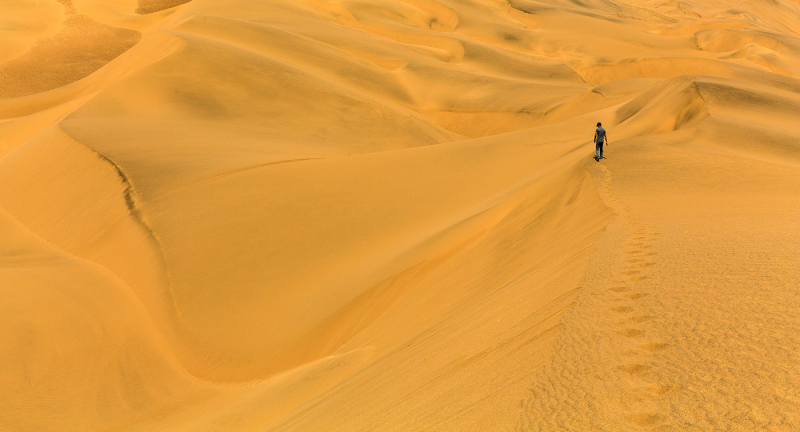 Beautiful dunes and composition with the lonely walker ! . . away from the crowds . .
we feel all the grandeur of this landscape through your beautiful shot. Wow. A crackin' good shot! Amazing sense of scale. I think space and vastness with this picture. Awesome view with gorgeous color!! I love the sense of scale here. A tiny speck of humanity in the beauty of the sand. A powerful photo. Wonderful view ! Excellent composition ! The tiny figure gives us an idea of the scale of the picture. An excellent capture of the desert. Quelle vue de haut et ce personnage dans les dunes sueprbe vue. Making tracks, very mellow yellow. I think it's an everyday sight for you, but it's special to me. very good! The loneliness of the desert! A great feeling of freedom! 5***** Great shot! Wow, an excellent image of this explorer of the sulphur colored dunes. This picture reminds me of the book "Le petit prince" by St Saint-Exupéry. Beautiful image - well done! Excellent scale ratio and color contrast. مثل پارچه ی ساتن شده .